Easter is almost here, and for a rare change I am really enjoying all of the superficial bunnies and not bothered by all of the horrible marketing and merchandise. 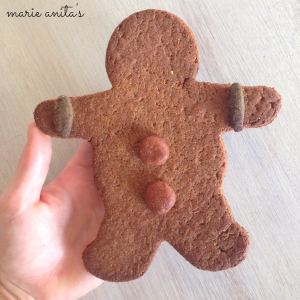 I may although need to cut back on all the taste testing; raw Easter eggs, raw rocky road and I could not forget the humble little gingerbread man! 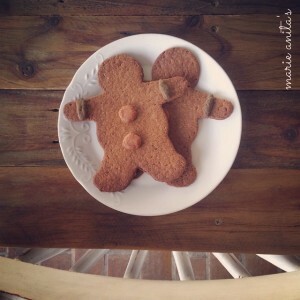 Easter is good with Gingerbread Men. I have had so much fun with this recipe. 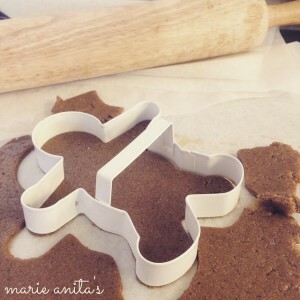 My man mentioned the good old gingernut cookie not too long ago and I quickly chimed in with the, leave it to me, while I plotted to sneak in an organic, grainfree, vegan and sugar free treat. These gingerbread men taste just like the forgotten gingernut cookie while still being nourishing and satisfying. I had wanted to play around with colours, which I haven’t done for a while, so I definitely took advantage of some bright ingredients in this recipe while hopefully introducing something new for some. Everything in life is usually optional so feel free to stick with the base recipe and decorate with raisins, cherries, nuts or cacao nibs if that is more your style. Either way, I hope a few kids end up with beetroot dough in their hair or at least their mouths! Happy Easter and remember it’s the small, nourishing and nurturing things that make this holiday special; family, friends and of course, food! 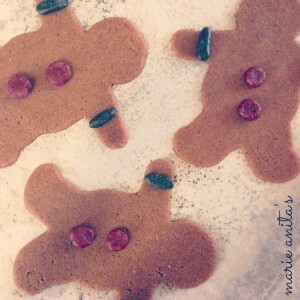 These gingerbread men are super clean and even more versatile so enjoy them raw, baked, decorated or massacred. Omit baking powder and maple syrup. Take aside 2/3 cup of the dough separating into two portions. Place one portion of the dough back into the processor with the spirulina and process until the dough becomes an even colour of green. Repeat this process using the beetroot juice to colour the other portion of dough red. Put aside for decorating! If using the raw recipe, place men in the fridge until cool and firm. Eat! For traditional, baked men, place men in a preheated oven at 150° for 25-30 mins until well browned then eat!